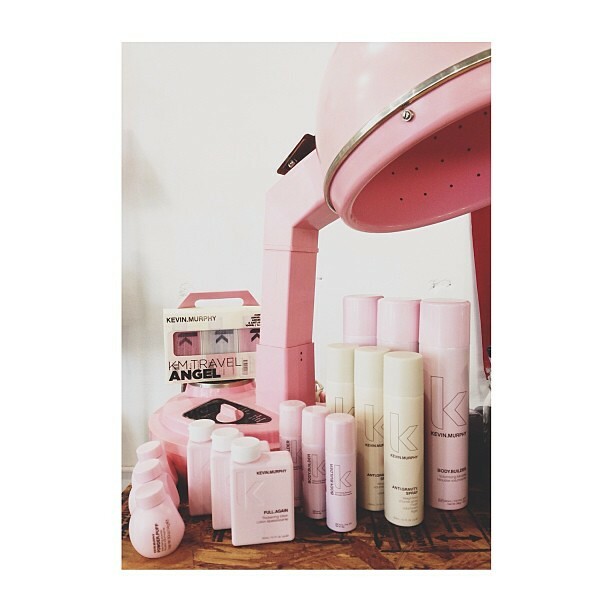 Today I brought my pink hair dryer over to the salon because I felt like we needed to feature some of our favorite products. Who doesn't want big hair big fun? If you don't you're probably not from Texas. Silky- you may think this is awesome but I hate it and I put product in it so it's not so slippery. Fine- but I have a lot of it. Limp- because all my layers have grown out. - I wash with Angel Wash Shampoo- It doesn't weigh my hair down. - After towel drying I spray Anti Gravity or I use the lotion, then I rub body builder all through my roots. - Most the time my hair air dries but you get better results if you blowdry your hair upside down. - Once my hair is dry, I wave my hair with the curl stick, dab Powder Puff at the roots and shake it like a polaroid picture! - And because I love the smell and the texture it gives, I finish off with spraying Hair Resort. It's like the beach in a bottle!